SALA Samui Resort is the perfect getaway for romantic couples. Located on the pristine Choeng Mon Beach on Koh Samui, this is one luxurious experience that you will absolutely love. 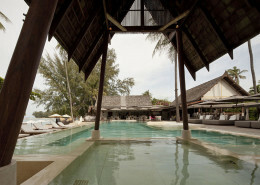 One of Koh Samui’s best spots! Located on the pristine Choeng Mon beach on the north eastern corner of Koh Samui, SALA Samui Resort offers stunning contemporary accommodation which includes private pools in 53 out of its 69 accommodations. Only 15 minutes from Chaweng Beach, 20 minutes from Bo Phuts quaint Fisherman’s Village and a mere 5 minute walk to Choeng Mon’s restaurant and shopping precinct, it offers guests one of the most convenient locations on the Island. Close enough to visit the hot spots yet far enough away to escape the hot spots. There’s a lot to love at SALA. Set on 80 meters of beachfront, and featuring both a ‘white’ resort pool (suitable for adults and children) and a ‘black’ resort pool (for adults only), this luxury resort is stunning. 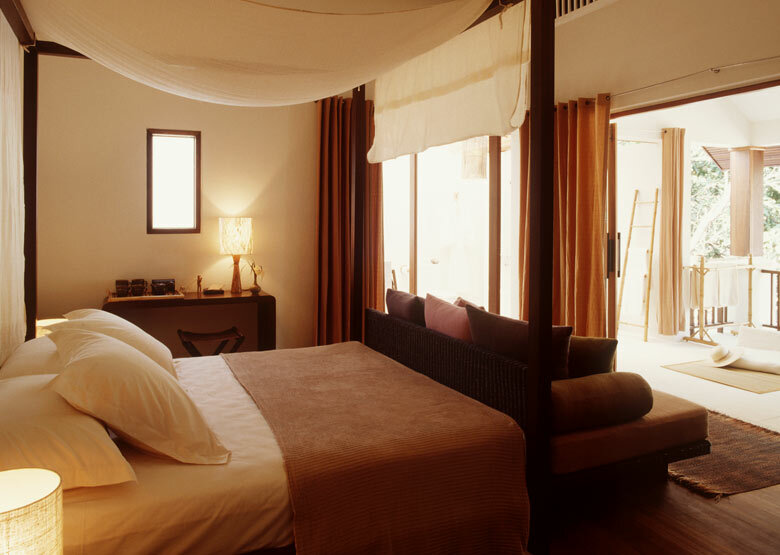 Accommodation options include Deluxe Balcony Suites, Garden Pool Villas, SALA Pool Villas, 1 and 2 bedroom suites and a beachfront Presidential Suite. 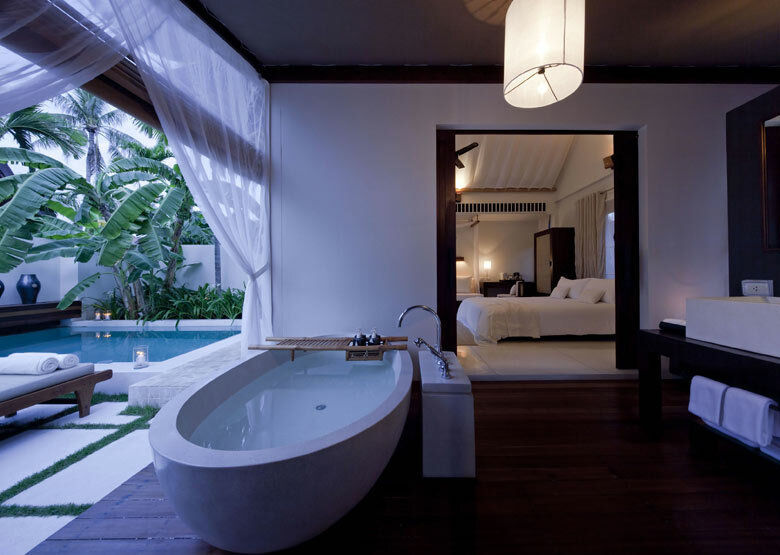 All rooms offer an abundance of private space, modern Thai décor based around a clean fresh colour palate, and eclectic open air bathrooms with rainshowers and oversized baths. SALA’S beachfront restaurant serves an exquisite breakfast as well as lunch and dinner daily, complimented by a plethora of restaurants within an easy stroll of the resort or a quick Tuk Tuk or taxi ride into Fisherman’s Village or Chaweng. There is a beautiful Spa at the resort and the staff are friendly and attentive. Families are welcome however there is not a kids club or activities program. 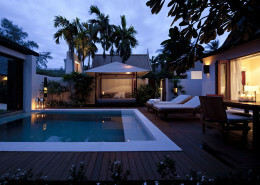 If your budget permits, indulge in a private pool villa – it is such a decadent and romantic way to holiday. SALA Samui is a fabulous beachfront resort choice for romantic couples who wish to be located away from the popular tourist areas but close enough to access them easily. With private pools in over three quarters of their accommodation, this beautiful contemporary Thai resort encourages relaxation and romance, offering a personal and private holiday experience that will long be remembered. 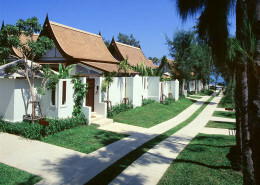 SALA Samui Resort is located on the beautiful island of Koh Samui. Getting to SALA Samui is easy! 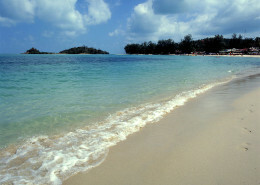 Vehicle transfer time is approximately 15 minutes from Koh Samui Airport. See map below for exact island location. 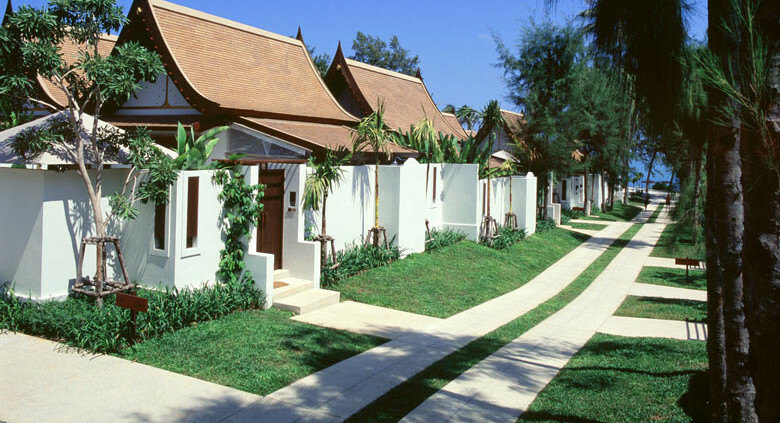 SALA Samui is prefect for honeymooners, quiet & relaxing place with all facilities available. Spent a great holiday there. Private pool in villa was spacious, didn’t need to leave the villa ever!